Taken in Valetta, Malta. June 2015. 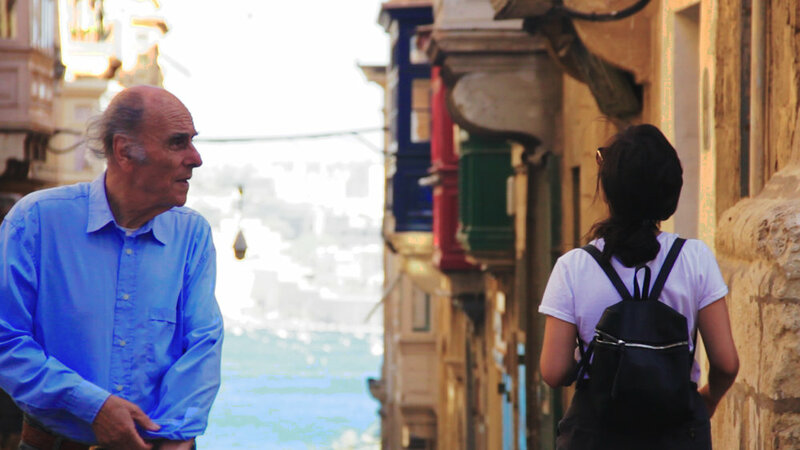 The idea for the series began with my trip to Malta and Sicily in the summer of 2015. Inspired and in awe of Dziga Vertov's Man with a Movie Camera (1929), I wanted to explore different aspects and angles of daily life through montage. Unable to discard the baggage and role of tourist, I made it a point to visibly incorporate that perspective through looking at the visual and spatial relationship between tourist and 'local'. That relationship includes the unofficial presence of refugees exhibited most prominently in the graveyard of refugee ships featured at the end of the video. In looking at the different modes of transportation to and within the Mediterranean region, I wanted to exhibit the great disparity of mobility amongst these groups. Special thanks to High Pop for allowing the use of their beautifully melancholic song "Summer means nothing without you" from their 2014 album holy smokes!